Today is Remembrance Sunday, the second Sunday in November each year. It is the day originally to remember all those who died in World War One. Following is a list of my own relatives on my family tree who I know to have been killed during World War One. I would like to remember these brave soldiers. I have many others who served during the war but who survived. 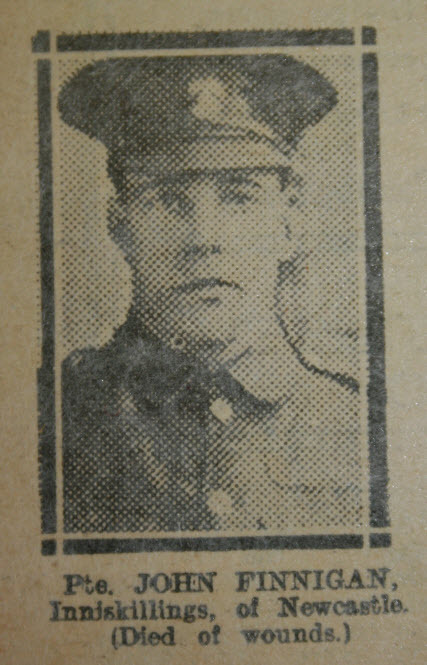 • Finnigan, John – Private “C” Copy, 11th Bn. Royal Inniskilling Fusiliers. Wounded 1 Jul 1916 – First day of the Battle of the Somme, died 10 Jul 1916 on hospital ship returning to England. Buried Newcastle-Upon-Tyne (St. John’s Westgate and Elswick) Cemetery, Northumberland. Yes, if you have a connection to any of these soldiers I would like to hear from you. 8th Unlock The Past Genealogy cruise from Southampton to the Baltic Seaports 11-25 July 2015. 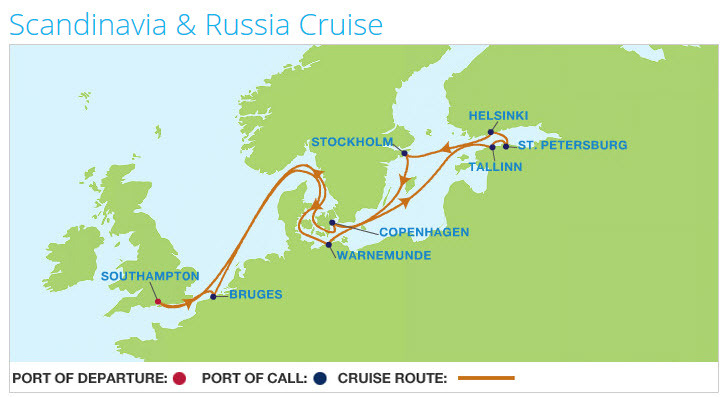 Unlock The Past Cruise to the Baltic Seaports is scheduled and space is filling up. If you are interested check it out on the UnLock The Past website. I recently gave 24 different lectures, in three cities and I promoted the cruise at those venues. Since returning I have had further inquiries so I thought it best to post a fresh reminder of where to find information and summarize the trip – some may say a trip of a lifetime – and you get to hear me again 🙂 This is the companies 8th Genealogy Cruise – for 14 nights from Saturday 11 July 2015 to Saturday 25 July sailing from Southampton England to the Baltic Seaports aboard the Celebrity Eclipse, operated by Celebrity Cruises. The key speakers are Paul Milner (myself, just in case you came here via a search engine and you missed who’s blog you are reading); Cyndi Ingle of Cyndi’s List fame (http://cyndislist.com) from the United States; Carol Baxter, the History Detective, a great history writer from Australia (www.carolbaxter.com) ; and Chris Paton from Scotland who writes British GENES, a must-read blog for keeping up-to-date on the news from the genealogy world in the British Isles (http://britishgenes.blogspot.com). Other confirmed speakers include Rosemary and Eric Kopittke, Helen Smith, and Shauna Hicks from Australia; Daniel Horowitz from Israel; Dr. Janet Few, Caroline Gurney and Jane Taubman from England; and Carol Becker from the United States. The presentations in the program are still being worked out but you can see the outline. No matter your interests it will be a great conference and you will get to hear some of the best speakers in the world and have opportunities to learn from one another. This cruise will offer over 100 topics offered in 50 sessions; special interest groups; Research Help Zone times offering one-on-one and small group opportunities with the experts; opportunities to purchase Unlock The Past and author publications; with visits to some of the world’s great cities along the way. There is also an additional signup bonus for those singing up by November 10 – see website for details. Please also note that much of the cabin block assigned for this conference is selling out fast, so if you are interested make contact soon. From Southampton the cruise will sail to: Zeebrugge (Brussels) Belgium; Warnemunde, Germany; Muuga (Tallinn) Estonia; St. Petersburg, Russia; Helsinki, Finland; Stockholm, Sweden; Copenhagen, Denmark; and returning to Southampton. To book the cruise or for more information check out Unlock The Past site at www.unlockthepastcruises.com/cruises/8th-unlock-the-past-cruise-baltic . If the schedule for this genealogy cruise does not meet your need, check out the upcoming Unlock The Past cruises sailing across the Atlantic; a European river cruise; or around Australia and New Zealand. There is certainly lots to choose from, and all are well organized conferences.